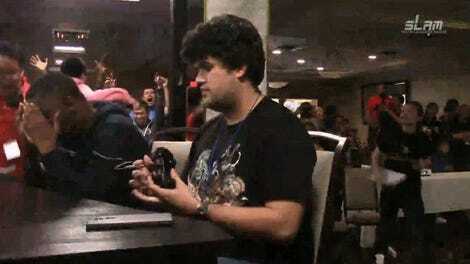 Most fighting game tournaments do very little to curate tournament matchups. Sure, the biggest events will do some seeding to ensure that big names and regional rivals don’t play against each other right out of the gate, but for the most part, competitors need to be ready for whoever is thrown at them. Tsuyoshi, a 9-year-old Dragon Ball FighterZ player, crashed head first into this unique challenge when he had to face his own father in a recent tournament. Tsuyoshi is a regular at the weekly Dragon Ball FighterZ tournaments hosted by the Fighting Tuesday event series in Tokyo, Japan. His skill has grown steadily with every competition, and he’s become quite formidable despite his young age. Tsuyoshi won his very first match back in December 2018, and has faced his fair share of high-level players, including two matches against Evo finalist Naoki “moke” Nakayama in as many months. And although he isn’t always successful, Tsuyoshi has continued to show up to Fighting Tuesday week after week, receiving encouragement from his father no matter how his matches turn out. This week’s Fighting Tuesday was a little different. In order to help newcomers get more tournament experience, the organizers limited competition to beginner and intermediate players. Tsuyoshi obviously made the cut, but so did a surprise challenger: his father, who goes by the name Wasa. 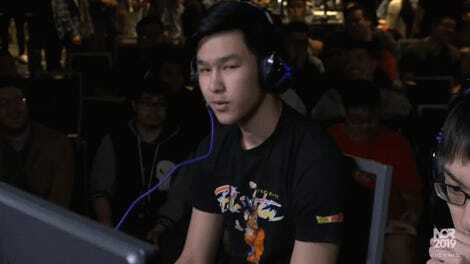 While he usually sticks to supporting his son, Wasa is also a competitor himself, so he entered the same Dragon Ball FighterZ bracket with his eye on the prize. It was always possible the father and son would end up playing each other in tournament at some point, but the luck of the draw made them opponents in the very first round. 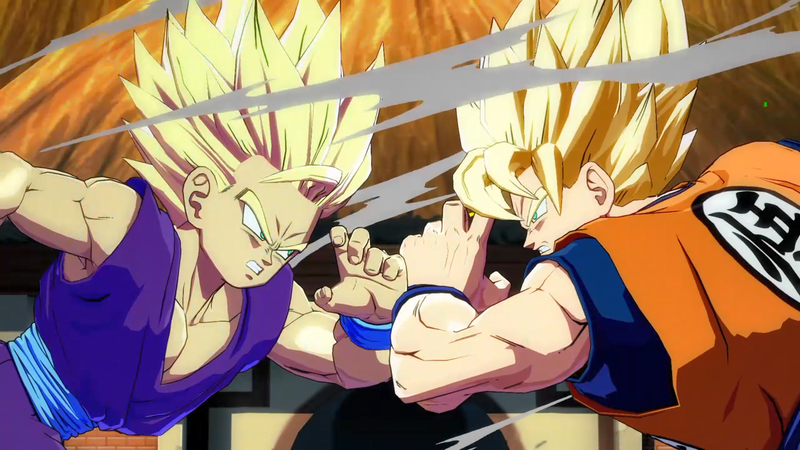 What followed was a pretty standard Dragon Ball FighterZ match, with both Tsuyoshi and Wasa showing off what they had learned in their training sessions and tournament matches. The skill level wasn’t exactly Evo-level, of course, but the added tension of watching a young kid take on his own dad in competition made it just as exciting. The commentators, Andrew “jiyuna” Fidelis and the always hype Majin Obama, were quick to make jokes about the situation, highlighting the rare sight with moments of endearing levity. Tsuyoshi ended up with a 2-1 victory over Wasa, and the father-son pair shared a brief, heart-warming moment before walking off-camera. Like Dominique “SonicFox” McLean (who also started competing at a young age) before him, Tsuyoshi now represents the next generation of fighting game competition. Fidelis, who has watched Tsuyoshi compete at Fighting Tuesday since last year, has also compared Tsuyoshi’s ability to have fun, no matter the outcome of his matches, to the qualities that have made SonicFox such an amazing player across multiple fighting games. There’s no telling whether or not Tsuyoshi will stick with Dragon Ball FighterZ—kids can be notoriously fickle, after all—but his presence in the fighting game community proves that there is space for everyone to learn, grow, and perhaps even surpass older peers… including your own Dad. Damn.